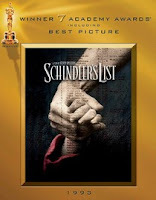 Oskar Schindler, a German industrialist made rich by using cheap Jewish labor, bought Jews as factory workers during War World II and, with the help of his accountant, spent his entire fortune saving the lives of 1100 of them. I had to see this film twice to truly appreciate it. I couldn’t comprehend how Schindler went to fraternize with the Nazis and saved Jews on the side…But then it struck me: he wouldn’t have been able to save so many lives if he hadn’t earned the trust of Nazi officers. In my opinion there are three scenes that make the film remarkable: 1) Ralph Fiennes as the Nazi officer practicing his shooting by killing Jews in the concentration camp is heart wrenching. 2) The scene at the end of the war when Schindler realizes that one of his gold buttons, or any other of the properties he kept would have saved more lives; I still feel tearful when I remember that. 3) When all the Jewish descendants of the ones Schindler saved went to his tomb to leave stones as proof of their visit, memorable! This is by far Liam Neeson’s best performance ever, but so is Ralph Fiennes’ and Ben Kingsley shines as usual. The musical score is also haunting; I still feel chills when I listen to it! 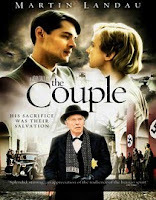 When a Jewish smuggling out of the Netherlands during the Nazi occupation turns deadly for all but one survivor, she decides to join the Dutch resistance and get her own kind of revenge. But going to bed with both sides of the war may prove more that she can bear. She shares drinks and parties with Nazi officers. Not only she sings for them, but she seduces a Nazi commander. In this movie, she is so dangerously close to being discovered more than once, that your heart will be pounding for one reason or the other. Worth seen! You won’t be disappointed! Joseph Krauzenberg, powerful Jewish industrialist, gives away his vast personal fortune to the Nazis in exchange for his and his wife’s safe passage out of Hungary, but in the transfer of wealth, the Germans occupy Krazenberg’s mansion and the heritage and thus the lives of the two Jewish servants to the family may be compromised. The whole movie is worth your time, but you won’t be able to breath for the few final scenes of this movie! 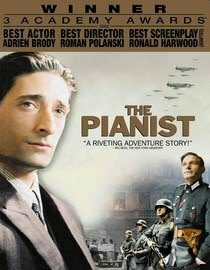 Adrien Brody, in the performance of his life, stars as Polish pianist Wladislaw Szpilman, who is forced to live on the run, ever hiding from the Nazis in occupied Warsaw. His survival is a chant to human struggle and triumph in the face of adversity. Great movie! Hitler’s final twelve days from the viewpoint of his personal secretary Traudl Junge. 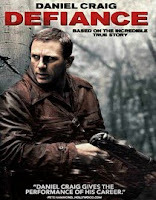 This movie is so realistic, that you will think you lived those days trapped in that bunker. The most stirring performance in this movie is by Bruno Ganz, the man who portrays Hitler. 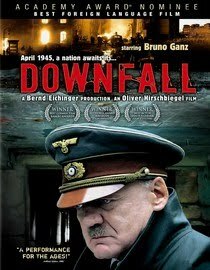 Not only he looks physically alike, but his portrayal of a mad Hitler, seeing conspiracies among his closest collaborators, is worth watching! In this movie, Hannah Schmitz collects the money in a city trolley in post Nazi Germany. One day she meets teenager Michael on her doorstep and soon after sexual encounters take place between the two. During every rendezvous, Hannah forces the boy to read to her. The relationship lasts a summer until she disappears without any explanations; however, the next time Michael hears about Hannah is through the media. As it turns out, Hannah had been a Nazi guard at a concentration camp during the war and she is on trial for war crimes. The key to Hannah’s absolution is in Michael’s hands, but will he do anything to save her? Powerful drama, worth every valuable second! 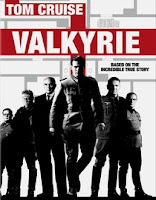 Discontent with the course of War World II, Nazi Colonel Claus von Stauffenberg returns to Germany after being injured in his campaign in Africa, and leads a conspiracy of prominent Nazi officers to kill Hitler and establish a shadow government, but things don’t go as planned (do they ever?) and the mere participation in this plot may prove deadly. 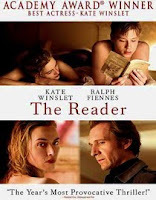 Great performances are delivered by Tom Cruise and Tom Wilkinson. I was pleasantly surprised to learn that Hitler’s domain could have been brought down from within. Sheltered from the outside horrors that other Jews are facing in the concentration camp, a group of Jewish con artists is entrusted the task of producing large amounts of the Allies’ currencies in order to weaken their economies. 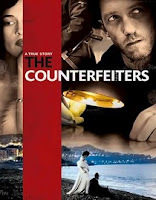 But as they get closer to their goal, Salomon Sorowitz, the master forger, begins to question the ethics of the whole operation. This movie is tender, although not in “Babe” sort of way. It is a deep look at innocence in cruel times, when even a childhood friendship could threaten the lives of either one. When his father is transferred from Berlin to a new assignment in Poland, Bruno searches the property without his family’s approval. 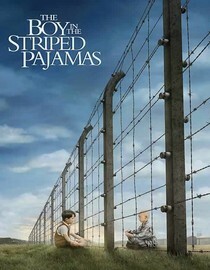 He discovers a child wearing striped pajamas working behind a fence and soon befriends him, but an incursion into what turns out to be a concentration camp may be more than he or his family bargained for. Emotional ending! The four Bielski brothers escape from Nazi occupied Poland to the forests of Belarus and start giving refuge to Jews escaping persecution. What starts as a small group of defectors soon becomes a sanctuary in the forest with more than 1000 Jews.